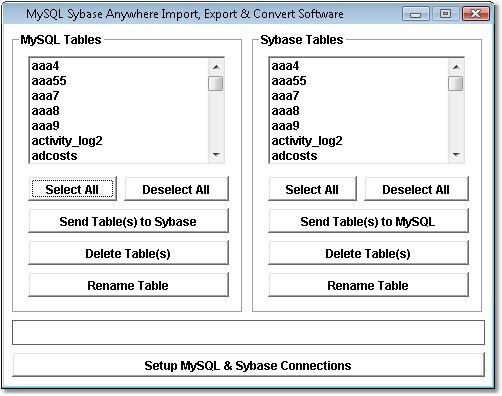 Transfer tables to and from MySQL and Sybase ASA (Adaptive Server Anywhere) databases. Importing and exporting can be done without SQL knowledge. This program is not intended for use with Sybase Enterprise.